Ani, who resides at Karmo Health Centre area, Abuja, had pleaded guilty to a three-count charge bothering on shop-breaking and theft. 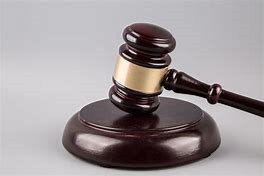 The Judge, Abubakar Sadiq, however, gave the convict an option of N10, 000 fine and also ordered that the recovered items be returned to the owner. Sadiq warned the convict to be of good behaviour and to desist from committing crimes after serving out his punishment. Earlier, the prosecutor, Dalhatu Zannah, had informed the court that on April 14, one Faith Opara, the convict’s neighbour, reported the matter at the Karmo Police Station. Zannah told the court that the convict and two others now at large, criminally broke into the complainant’s shop at Karmo at about 2:00a.m. and stole a plasma television set valued at N365,000. The prosecutor said the convict was caught where he was trying to sell the television. Zannah said that during police investigation and interrogation, the convict made confessional statement. He said that the offences contravened the provisions of Sections 79, 356 and 288 of the Penal Code. 0 Response to "18 year old jailed for stealing television"